Misheard song lyrics (also called mondegreens) occur when people misunderstand the lyrics in a song. These are NOT intentional rephrasing of lyrics, which is called parody. 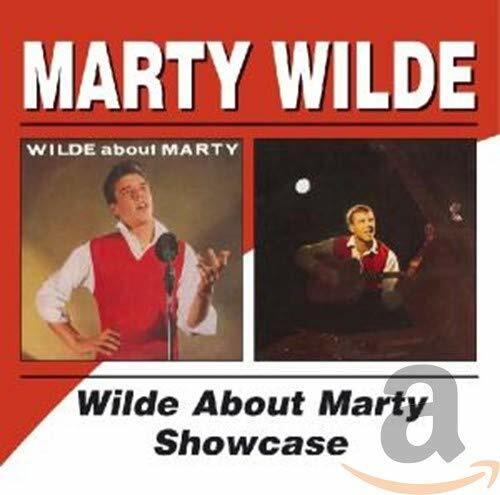 This page contains all the misheard lyrics for Marty Wilde that have been submitted to this site and the old collection from inthe80s started in 1996. For more information about the misheard lyrics available on this site, please read our FAQ. There are 10 misheard song lyrics for Marty Wilde on amIright currently. Paradise people are fine by me. Editor's note: He actually recorded this one under the pseudonym 'Shannon', but there is another performer, who records strictly under the name (a female; she released "Let The Music Play" in the 80's). So to avoid confusion, all submissions of this song, "Abergavenny", will be filed under Marty Wilde. Parrot eyes people are fine by me. Promise to show you a boat across. Promise to show you a photograph. Taking a trip up to Africa, Vinny. Taking a trip up to Abergavenny. I've got to get there and fast.